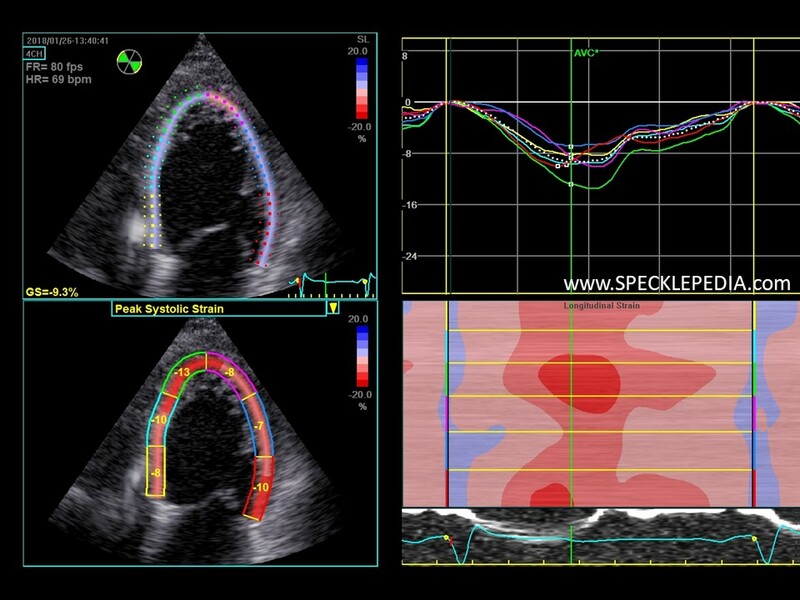 In the apical views the non-compacted myocardium in the apical and in the posterolateral segments is clearly seen. 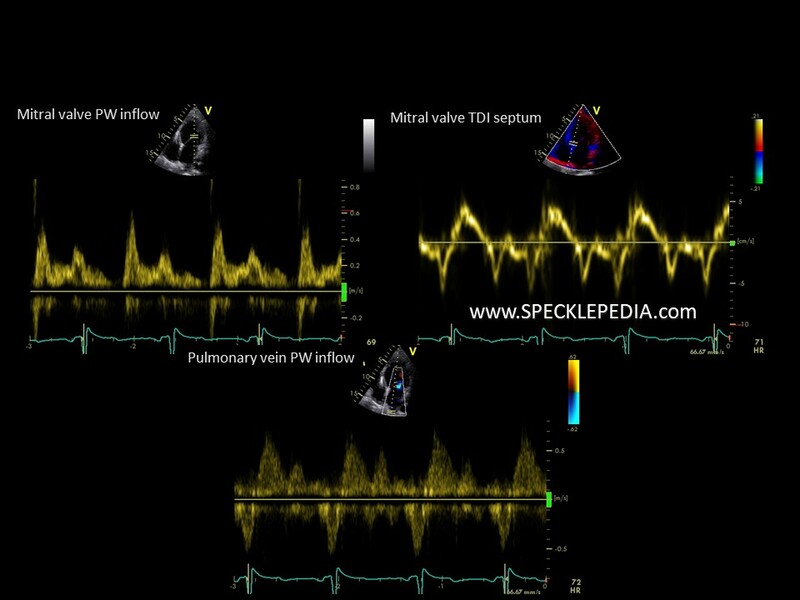 The LV systolic function is globally impaired. The RV is not dilated and still has a good function. Also appreciate the ICD lead in the RV (given for primary prophylaxis). Thrombi in the deep apical crypts are not seen but cannot be excluded without the use of contrast. 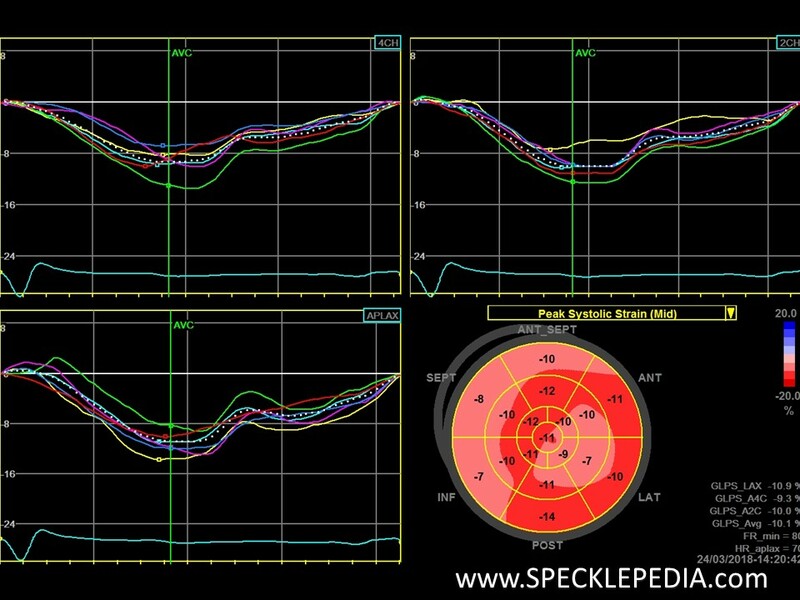 Also the diastolic function is impaired. 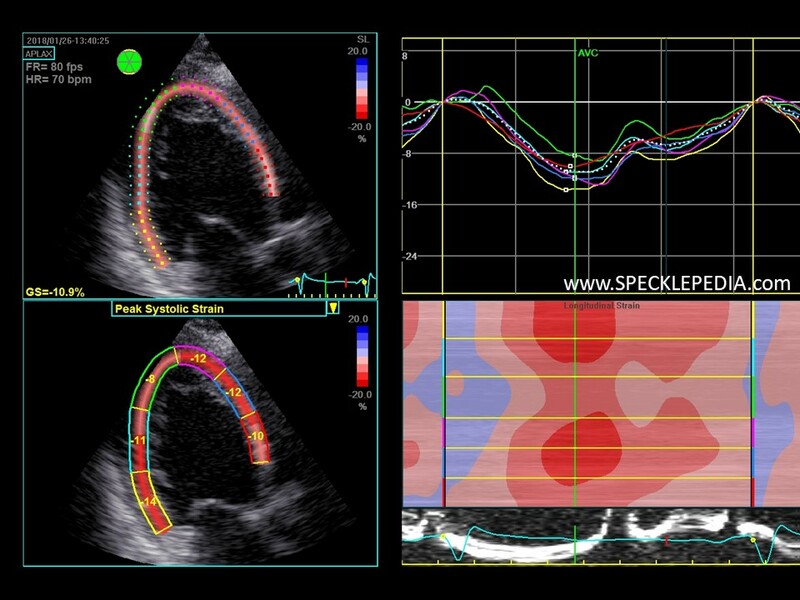 Doppler recordings below show a pseudonormal filling pattern with a clear L-wave, an increased E/E`. Deformation imaging analysis in this patients shows a severely impaired function. The GLS is calculated at -10%. 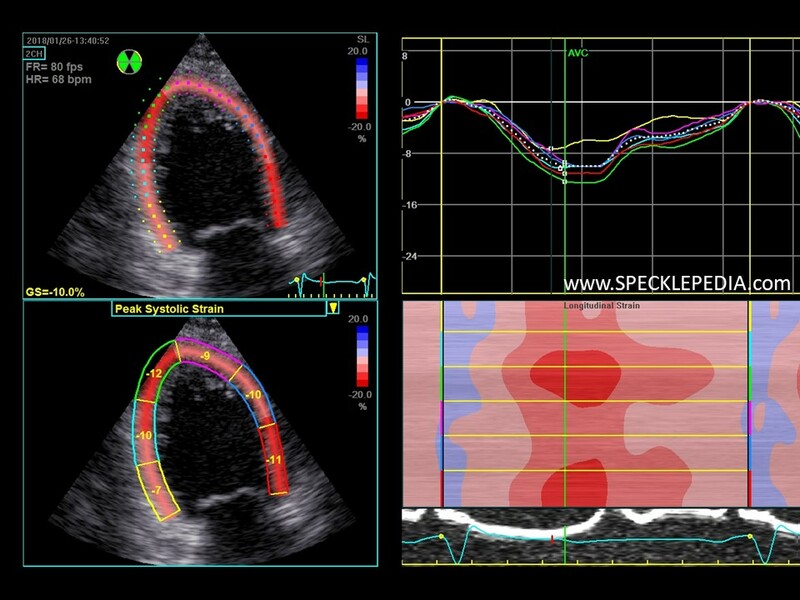 Regional analysis show that the typical predilection sites are most affected; the posterolateral region and the septum. Also note, that in this patient, the other segments also exhibit an impaired longitudinal function.